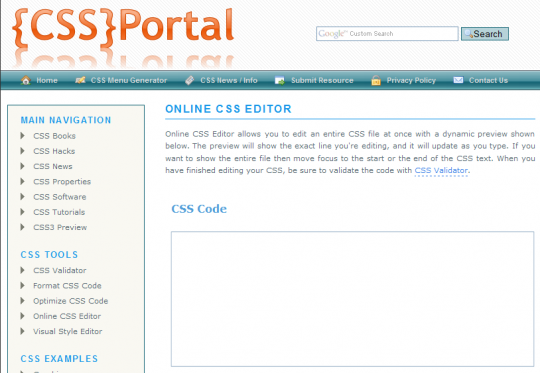 CSS type set is online CSS Editor. It provides a text box where you can enter your text and you can change the color, fonts, size and grab your CSS code from right side text box. 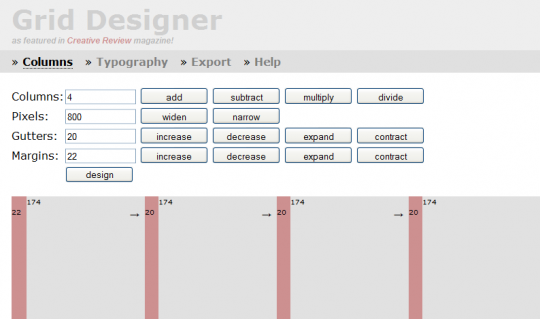 This is the most popular CSS editor among the designers. CSS clean is very useful CSS formatter. It helps to make your CSS code in clean and understandable. 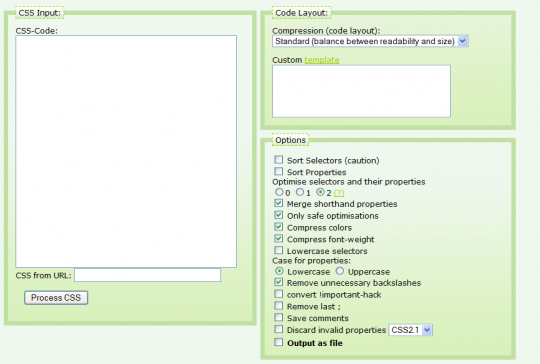 It is providing a test box for CSS code and check box for change the functionality of CSS code. 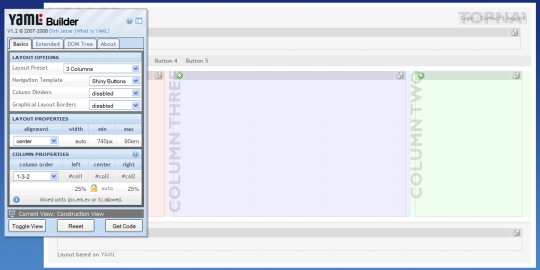 Grid designer works according to the name, creating the different types of grid layout with the help of provided functionality. 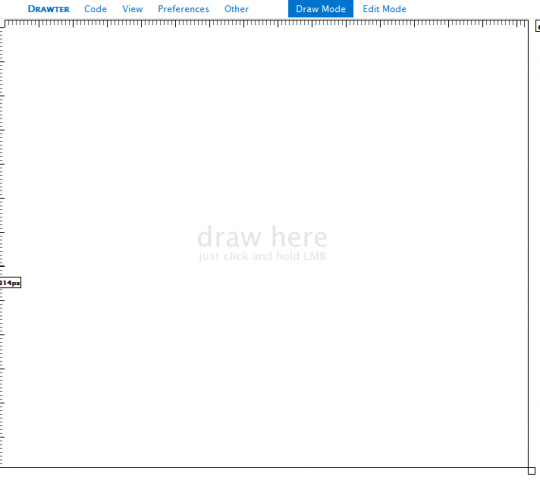 It has well interface for designers to creating attractive grid layouts. Typetester also have a text box where you can put your matter and change the color, font style, size according to your requirement by changing tool and collect your CSS code. It provides a text box where you can put your CSS code and get changes which you want. It has a CSS validator which helps you to understand an error from code. It is very useful editor. 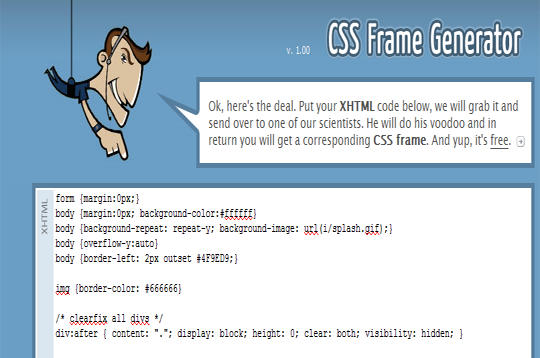 Put your XHTML code into and CSS frame generator the CSS frame layout. 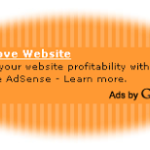 It’s easy to use for new users. It’s very powerful and very quick CSS generator. It’s allows you to paste your code and you can edit and view your code which you have changes in this code. CSS mate a very famous online CSS code editor. 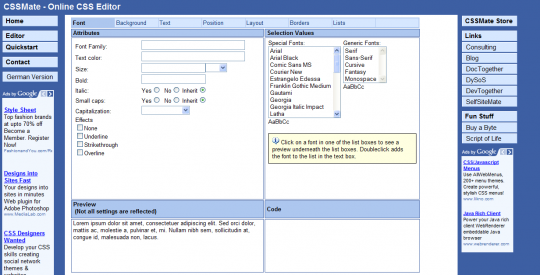 It allows to change multiple in fonts, color, text color, border and list. For multifunctional layout, you can use YAML tool. 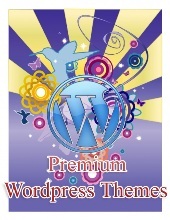 It is an XHTML/CSS compatible framework for modern floated layouts.